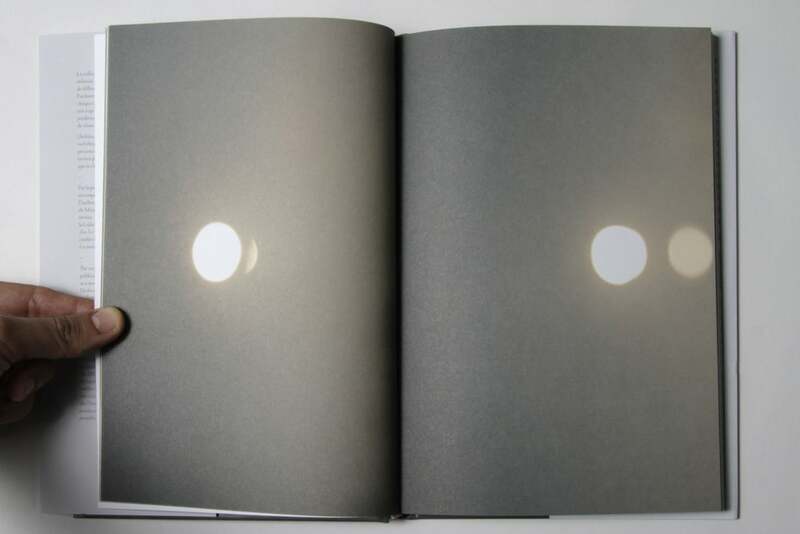 With this book, Dazibao awards Jim Verburg the Dazibao Prize for his solo exhibition One and Two, presented by Galerie B-312 during the 2011 edition of le Mois de la Photo a Montreal (curated by Anne-Marie Ninacs). The recipient of the Dazibao Prize is given the opportunity to produce a book as part of Dazibao's series Les portables. The series Les portables is a space to disseminate image-based practices. Dedicated exclusively to the work of one artist, each title of the series is a travelling exhibition with unlimited venues and circulation. Devoted to innovative or hybrid work, Les Editions Dazibao is a site for thinking about the photographic image and it's ties to other disciplines. Verburg's work in photography, video, print, installation, and text subtly mines the complexities of romantic and familial relationships. Often working with minimal or abstract shapes and images to create an emotional topography, revealing the intricate layers that constitute intimacy, the harmonies and dissonances inherent in an interpersonal dynamic. Taking shape as a poetic puzzle - where many individual pieces offer divergent perspectives and sit in tension with one another in a shared space, suggesting how differences in visual perception parallel the often disparate points-of-view held by individuals navigating relationships. In this publication, Verburg focuses specifically on the circle and line in his practice, both as an aesthetic celebration of the form, as well as the possibility of form to represent ideas of the whole or self. Moving between image, object and idea - exploring personal and interpersonal negotiations of thought, emotion, intention and meaning.